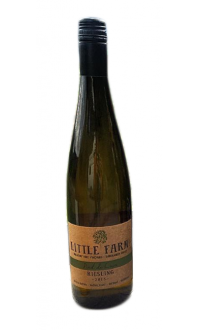 Sorry, Little Farm Winery does not ship wine to United States. This Chardonnay shows a lovely texture, complex hazelnut notes, peach and nectarine stone fruit, lemon and crisp, racy, stony mineral acidity. The early harvest gave perfectly ripe fruit and the calcium carbonate soils from the Mulberry Tree Vineyard maintained lovely acidity. Crisp, racy, mineral and long with layers of texture from the barrel fermentation and ageing.